Just wanted to remind you that our weekly online conversation about Birmingham, AL takes place tonight starting at 6:30 p.m. on Twitter. 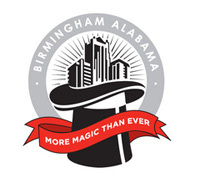 Just follow @bhamterminal to see where the conversation’s going. We’ve built a page explaining #bhamchat over on my Birmingham and will continue to make additions to it as needed. Just so you know, so long at the #bhamchat tag is in your tweet, you do not have to reply to @bhamterminal to share your answers or thoughts about the topic. That should give you a little more space for your thoughts. One more thing, it is probably best to use a third party application like Tweetdeck, Seesmic Desktop or Nambu if you’re on the Mac to follow along in the conversation (or just use Twitter’s search function to watch from afar). Hope to see you later on! BTW: We will post last week’s recap tomorrow with this week’s due to technical issues. We wanted to see if folks wanted to talk about issues facing the city and the metro region. The topics will vary depending on what’s been going on around Birmingham. We’ll stay neutral on the issues and try to provide additional information as needed. If you’re on Twitter, please feel free to follow us at @bhamterminal this evening and join in on the conversation. We’ll be creating a page on the site to help archive the discussions; you may also want to use http://search.twitter.com or http://tweetgrid.com and type in #bhamchat.